Many years ago I bought a couple of kits at Colours, from Antenocenti’s workshop, that were made from customised Hirst Arts. This first one I opened and discarded the packet and accompanying picture years ago. 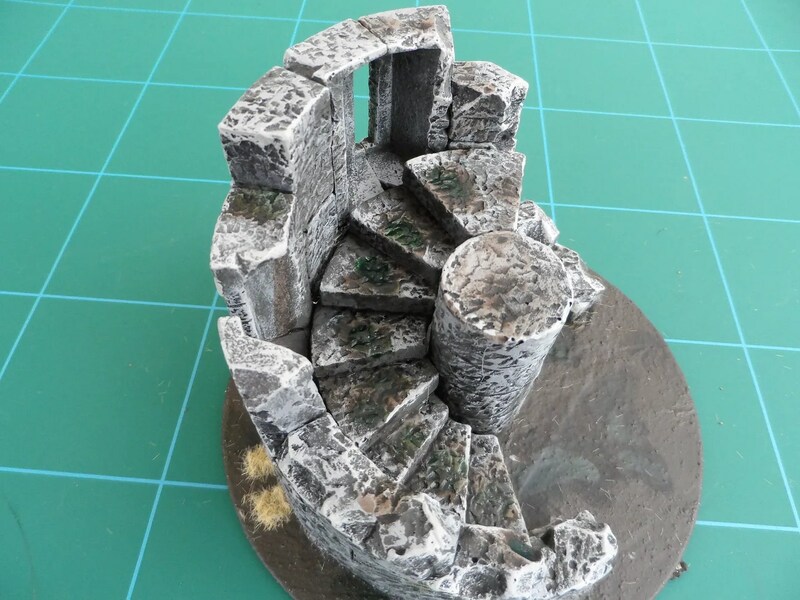 I thought it was about time to take the pile of bricks and make something of it. No instructions, so I had to do several dry runs on assembling something that used all the pieces (or at least nearly all of them). 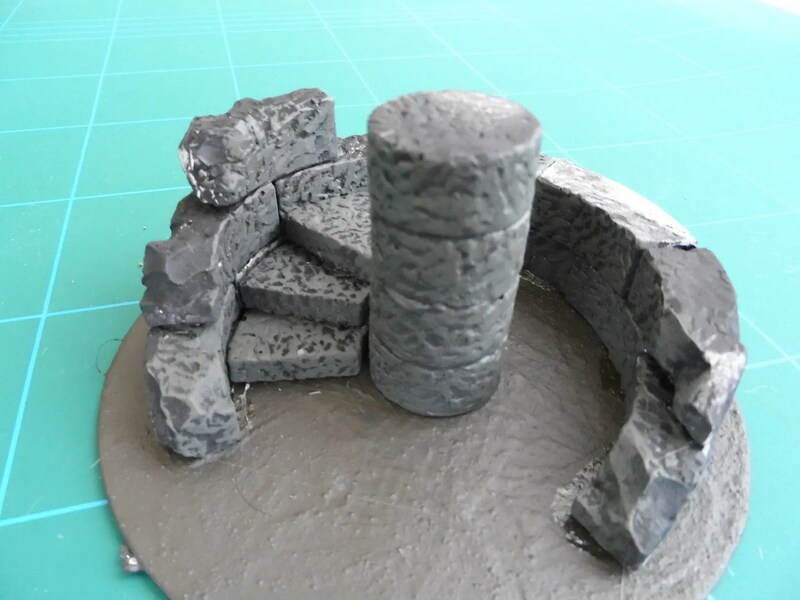 As this was a round tower with a spiral staircase inside, I undercoated and base coated the pieces before gluing them together. 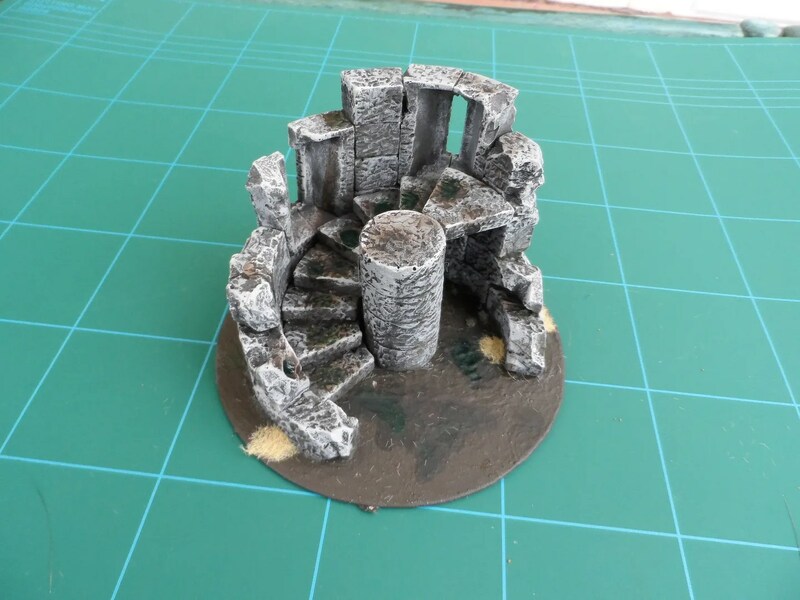 I managed to get it built and painted in time for the game w/e before last, but took until Friday to finish off the details like an additional highlight for the stones, and extra washes of brown and green, plus some grass so that this item can be used for WHFB. 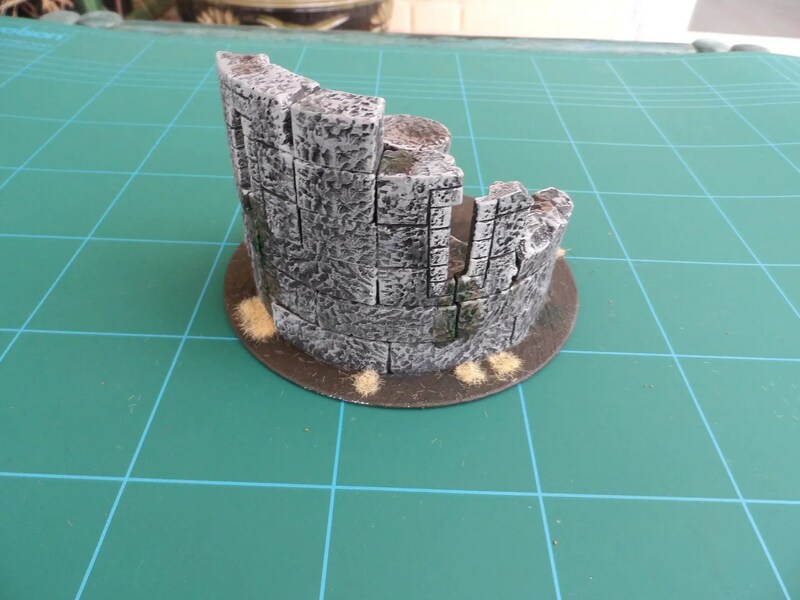 This was my first crack at a scenery piece made of plaster, and so I gave it an extra coat or two of varnish just to provide added protection from scratches and knocks. The final product is good. 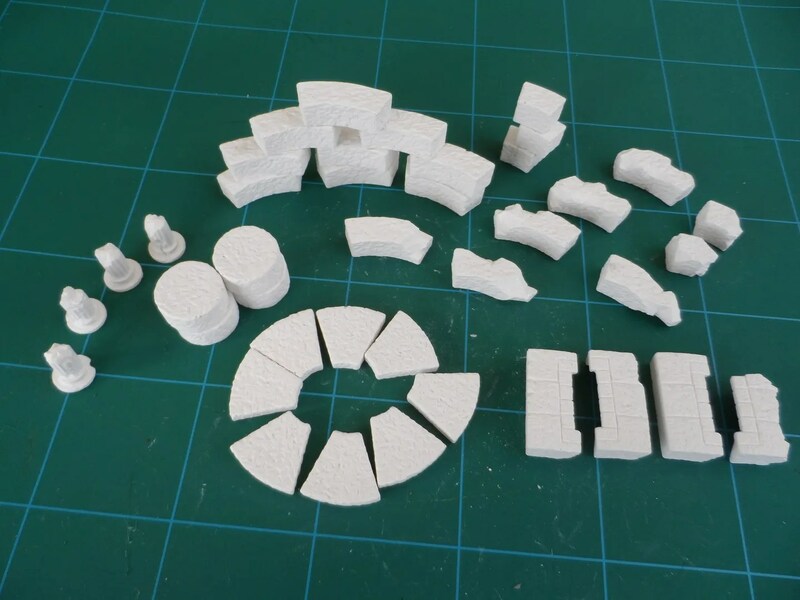 However, it weighs in at 255g, so I would be wary of trying to make bigger pieces, or even think about transporting them anywhere. The second kit has been started but is more delicate and complex.